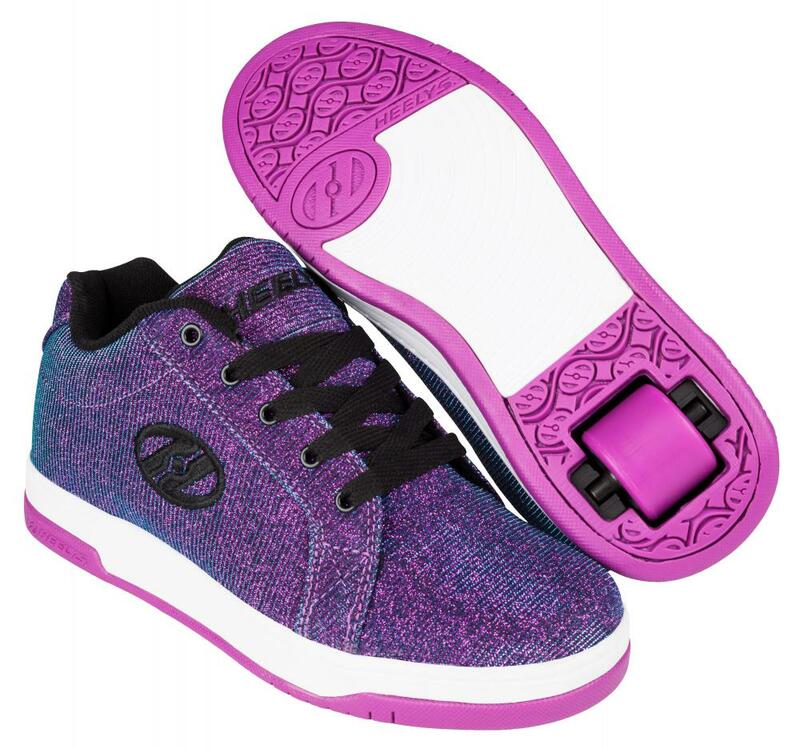 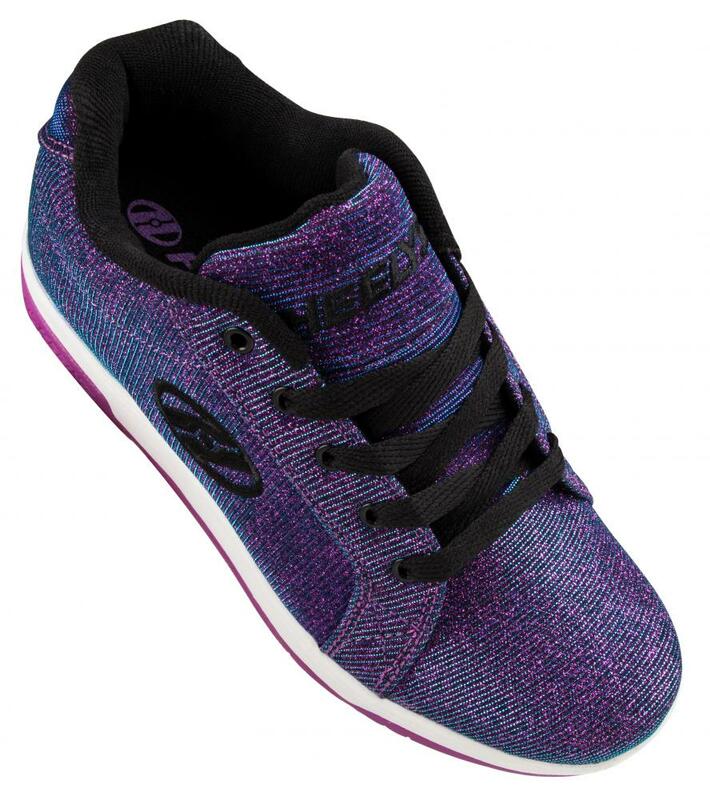 Go ballistic with these awesome blue on blue sparkly Heelys with subtle branding. Heavy ballistic nylon upper with padded tongue and collar for optimal comfort and protection. 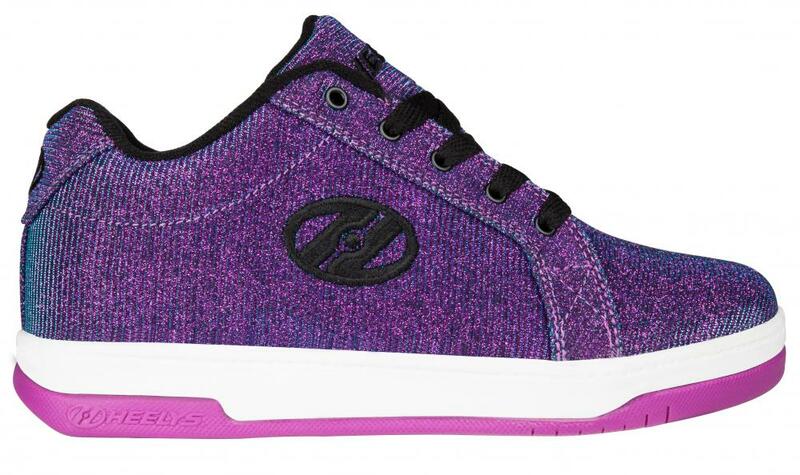 Lace closure for a secure fit; Embroidered oversized Heelys word logo. 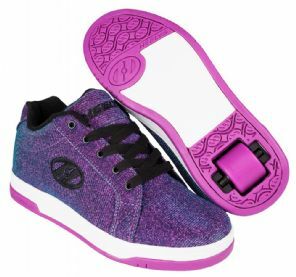 Durable rubber sole with lightweight EVA midsole; abrasion resistant brake pad. 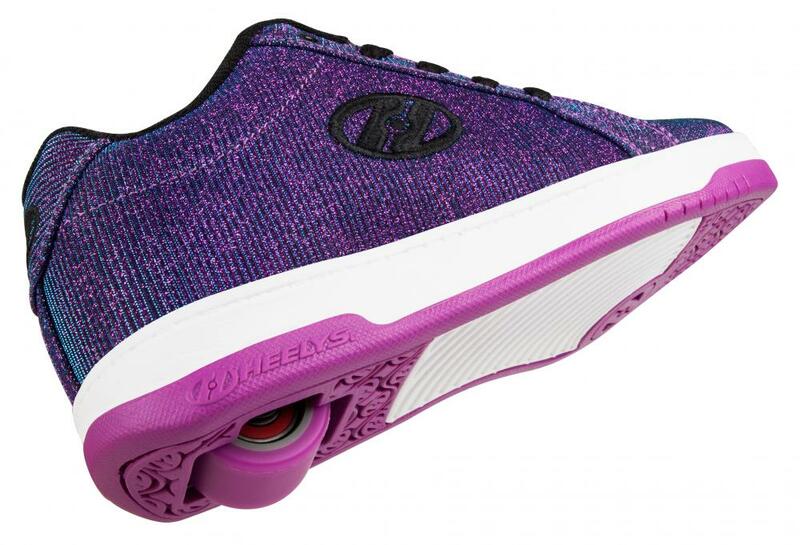 Low Profile Wheels ABEC 5 Bearings.